What a range of weather we've had in the last 10 days! 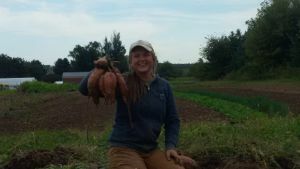 We spent several beautiful fall days digging sweet potatoes. They look amazing! 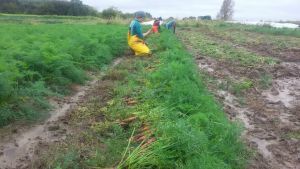 Today's conditions for harvesting carrots were less than ideal. Good rain gear is essential! !